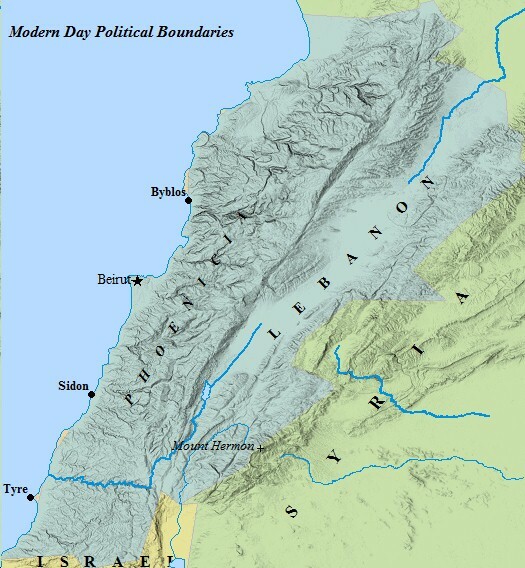 A map of Lebanon will demonstrate the country's role as a link in the ancient world. The International Coastal Highway stretched from Egypt, along the coast of Palestine, through Lebanon, to Ugarit. This was one of the major veins of travel in the ancient Near East. Lebanon linked Mesopotamia and Turkey with Palestine, as well as all of the ancient Near East with the cultures of the Mediterranean. Strong trading ties have been shown with Egypt, the Aegean, Israel, Mesopotamia and other ancient civilizations. A quick glance at any map of Lebanon will show the country sat amongst many different cultures and people. LEBANON A map of Lebanon and it's political boundaries as they stand today. The country of Lebanon has a population of 3,779,000 people. The capital is Beirut, a city of 1.79 million people. A variety of languages are spoken in Lebanon, including; Arabic, French, English, and Armenian. Major ports and cities developed along the coast of Lebanon. Byblos was a major shipping port with Egypt. Sidon was an island rock fortress. Ugarit is one of the more ancient cities in Lebanon. Tyre became its chief city. In the Bible Jesus is pictured traveling to Tyre & Sidon. Its southern border is shared with Israel's northern border. During the reigns of David & Solomon the two countries were allies. King Hiram of Tyre sent builders and cedars of Lebanon to Solomon for the construction of Yahweh's Temple. M. J. Strazzulla, Professor of Greek & Roman Antiquities at the University of Foggia, Italy, presents a unique view of the geography and history of Lebanon. Sixteen important monuments, at eight archaeological sites, including Baalbek, one of the wonders of the world, are analyzed and discussed in this illuminating and fascinating book! Click to be re-directed to barnesandnoble.com to purchase your copy today! The history of Lebanon is shaped in large part to the country's geography. The mountains squeezed against the sea, thus, the country developed a diverse identity. Any map of Lebanon will make plain the necessity of some turning to the sea. Nature encouraged this with her many natural harbors, located along the Lebanese coastline. Another segment sought refuge and protection in the high altitudes of Lebanon's two mountain ranges. These two ranges, Mount Lebanon in the west, and the Anit-Lebanese in the east, are two of the most rugged ranges in that part of the world. They remain snow-capped throughout the year. The famous Mount Herman is the Anti-Lebanese mountains' highest peak, at just over 9,200 feet. Banking is Lebanon's chief industry. Other industries include; food processing, jewelry, cement, textiles, mineral and chemical products. The Coastal Plain produces abundant amounts of citrus, grapes, tomatoes, apples, and other fruits and vegetables. Sheep raising is also a major part of the country's agriculture. Lebanon's chief exports include foodstuffs, tobacco, textiles, chemicals, precious stones, and metal products. The country is 2/3's Muslim, and 1/3 Christian. Civil war broke out between the two religions in 1975, and lasted until 1991. Democracy was then restored, with government positions given out based on religion. 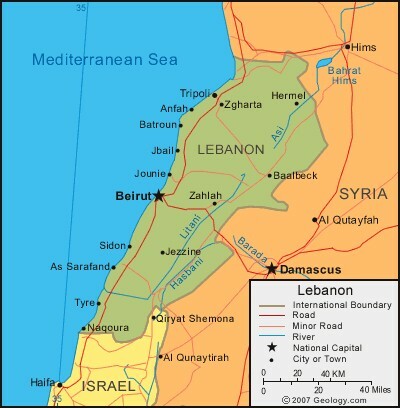 Israel and Syria had both sent troops into Lebanon during the civil war. Israel withdrew its troops in 2000, with Syria following suit five years later. MOUNT HERMON Rising over 9,200 feet, Mt. 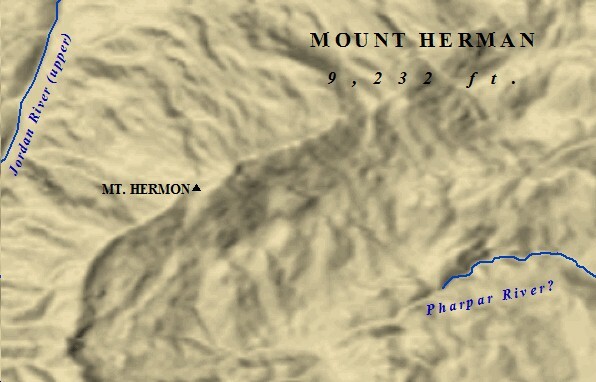 Hermon is the largest peak in the Anti-Lebanese Mountain Range. It is approximately 1,000 feet shorter than the tallest peak on Mount Lebanon. 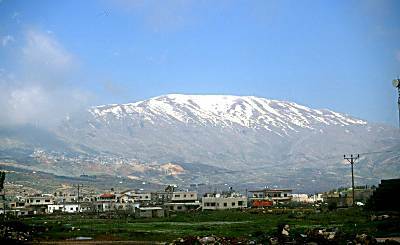 Mount Hermon has been called by many names over the ages. It is best known as Ba'al Hermon, Senir, Sirion, and Sion. Arabs call it "Jabel A-talg" today. Og, King of Bashan, was said to have ruled over Mt. Herman in the Old Testament Book of Joshua. Joshua 12:4-5 makes note that Og was the remnant of the Rephaim . The Old Testament associates the Rephaim with the Nephilim . Mt. Hermon, according to Enoch , is where the original Watchers, the fathers of the Nephilim, descended and touched down from Heaven. Interestingly enough, over twenty ancient Temples have been found on the mountain, and near its vicinity. Mt. Hermon is undoubtedly one of the most mysterious and holy places in the world. 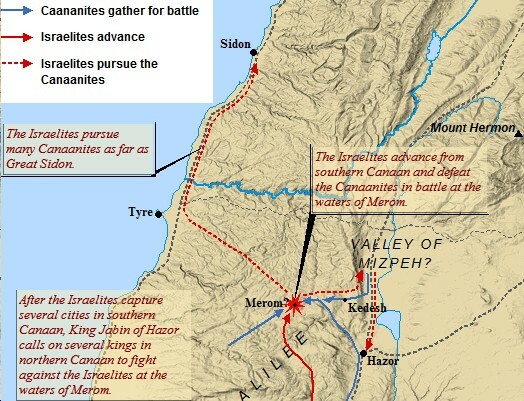 LEBANON & ISRAEL Though Israel never pushed fully into Lebanon during the Conquest, the map of Lebanon below demonstrates they did pursue their Canaanite foes all the way from Merom to Sidon, in southern Lebanon. Lebanon stayed out of Israel possession through the reign of Saul. 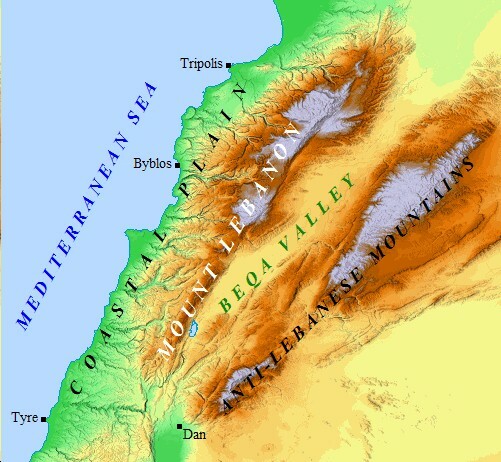 David, however, conquered the lands from Mount Lebanon, across the Beqa Valley, and eastward past the Anti-Lebanese Mountain Range. Tadmor was the eastern and northernmost limits of David's united Israel. Tadmor is located 160 miles northeast of Mount Herman. 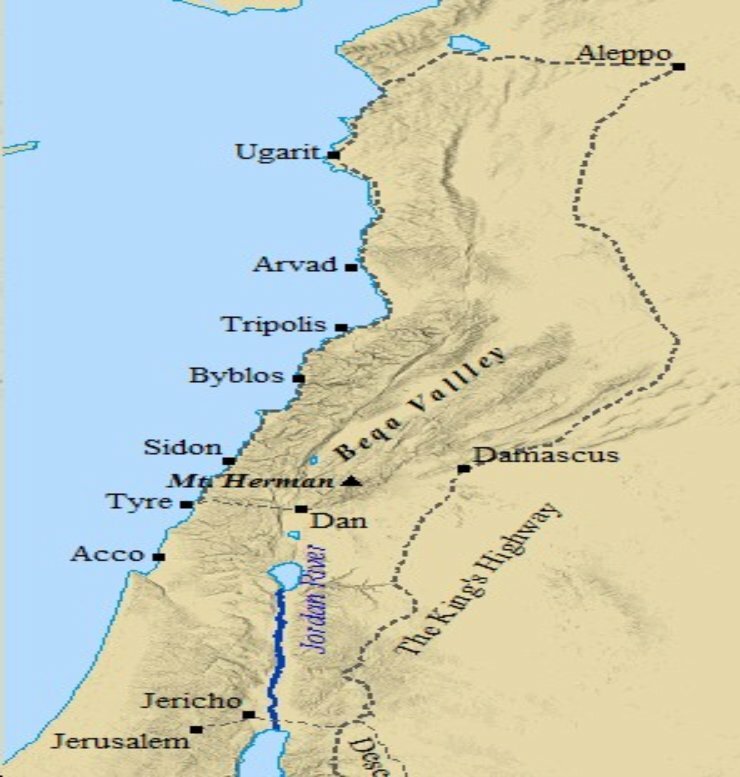 Solomon extended David's borders north to Tiphsah, in Beth-Eden. Tiphsah extends approximately 95 miles north of Tadmor. However, the extent of Israel's occupation of Lebanon remained the same. Phoenicia maintained its identity throughout the United Monarchy. The two countries shared friendly relations, for the most part, and often exchanged goods. 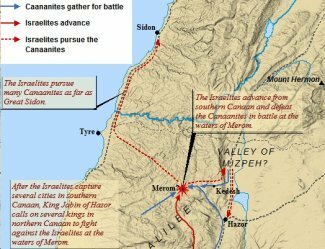 Solomon extended Israel's boundary north of Hamath, as well. Thus, all of the map of Lebanon bordered Solomon's kingdom in the north. Solomon maintained very cordial relations with Hiram, king of Tyre. His most profitable business enterprises were in conjunction with the Phoenicians. 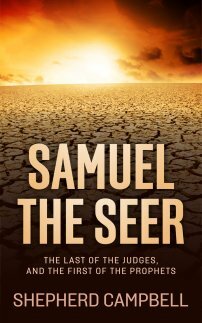 Solomon was simply extending his father's policy of friendly relations with their northern neighbors. Solomon used the famous "cedars of Lebanon" in many of his construction projects, both in Jerusalem and throughout the country. He built a fleet for Israel, supplied by Hiram with the craftsmen and sailors needed to maintain such a fleet. In fact, Solomon's fleet sailed to many ports previously visited by the Phoenician merchant ships. A MODERN DAY MAP OF LEBANON, ISRAEL & SYRIA. NOTICE ALL THREE COUNTRIES SHARE A BORDER IN ISRAEL'S NORTHEAST.